In this role, the inside sales representative will be responsible for building and maintaining client relationships while actively identifying, pursuing and closing new business for MVP’s Pro sales division. In this division, our representatives sell fully integrated marketing packages within professional team game day programs for over 100 pro franchises such as the NFL, NBA, MLB and NHL. The ideal candidate will have experience making a high volume of phone calls on a daily basis in order to cultivate and sustain a pipeline of potential clients. We provide a professional environment with competitive compensation including additional commission and benefits package commensurate with experience and performance. 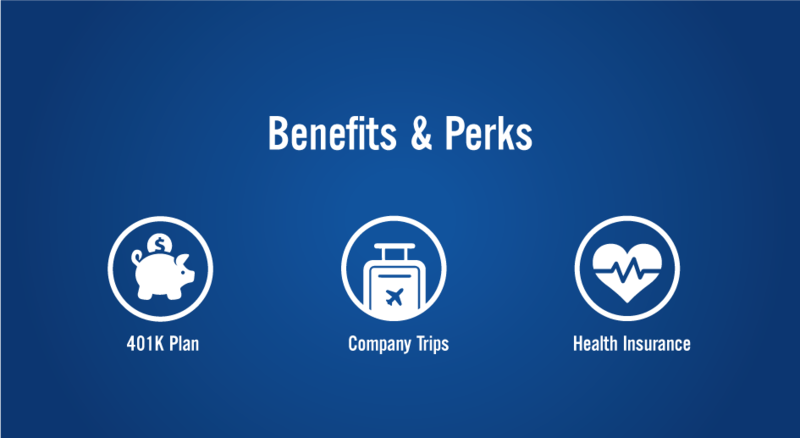 Additionally, we offer employee benefits which include: health and dental insurance, flexible spending account (FSA), 401(k), and paid time off. As well as generous monthly bonuses and company trips. We want to work with a sales representative who has a “hunter’s mentality,” and has confidence in their ability to succeed in a high pressure work environment. As a sales representative, you will spend your time making contact and building relationships with C-level executives and business owners all over the nation. This is not just another job. This is a career opportunity in which your hard work directly correlates with your success. Most Valuable Publications will consider college graduates who possess a degree in any concentration or major. We encourage applicants of all ages and experience, as we do not discriminate on the basis of an applicant's age. Most Valuable Publications is an equal opportunity employer and will not discriminate against any employee or applicant on the basis of age, color, disability, gender, national origin, race, religion, sexual orientation, veteran status, or any classification protected by federal, state, or local law. Most Valuable Publications is a uniquely qualified, full-service sports media company offering an array of media properties for advertisers and publishing services for teams and leagues. Through its unparalleled relationships with leading sports leagues, teams and associations, MVP is able to provide opportunities across all major sports. Our portfolio includes professional sports franchises nationwide, auto racing, U.S. Open Tennis, PGA Golf, NCAA® Basketball, and NCAA® Football. MVP’s media properties capture the excitement of the most prestigious sporting events in America. Through the offering of both annual yearbooks and gameday magazines, MVP provides advertisers with coverage and exposure at home games of each team throughout their respective seasons.